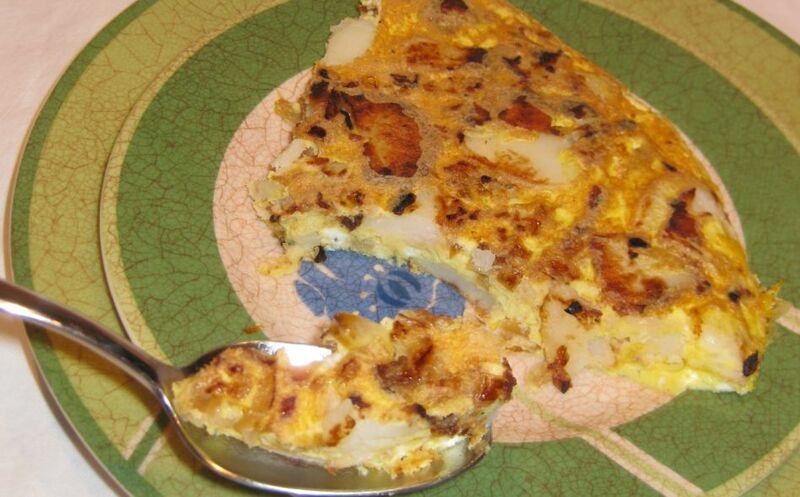 Tortilla de patatas is basically an omelet with onion and potatoes. 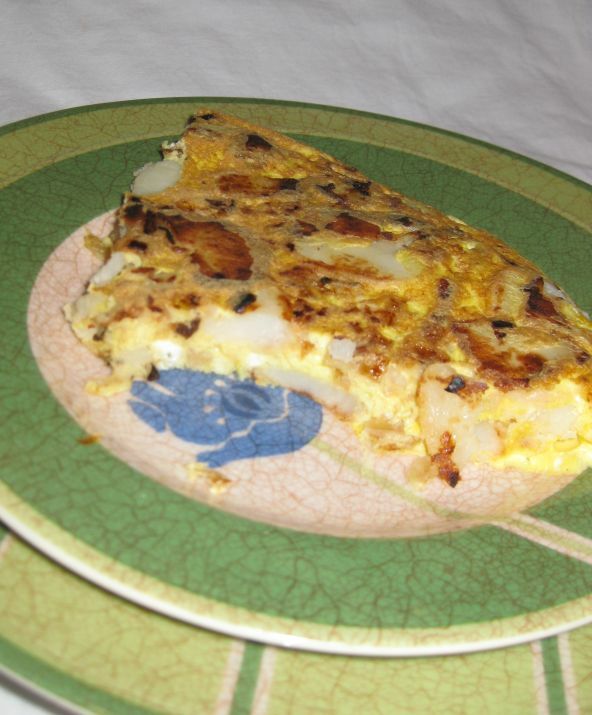 Tortilla de patatas is a typical Spanish. 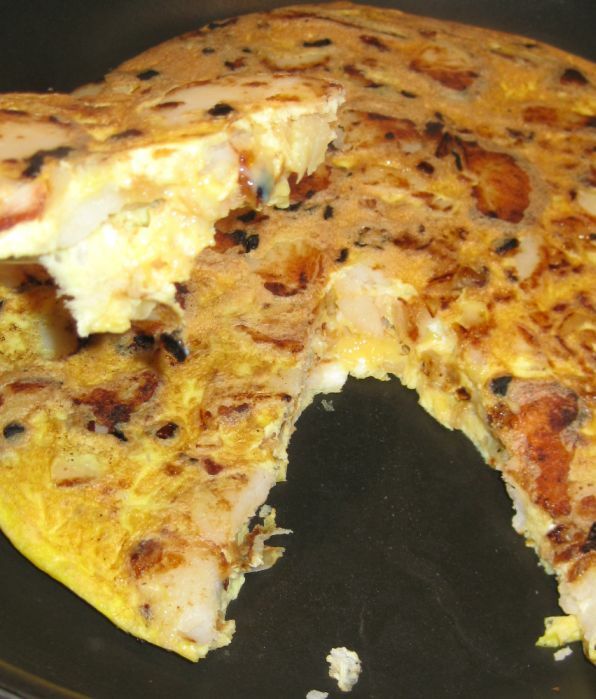 It also called tortilla española or tortilla a la española. 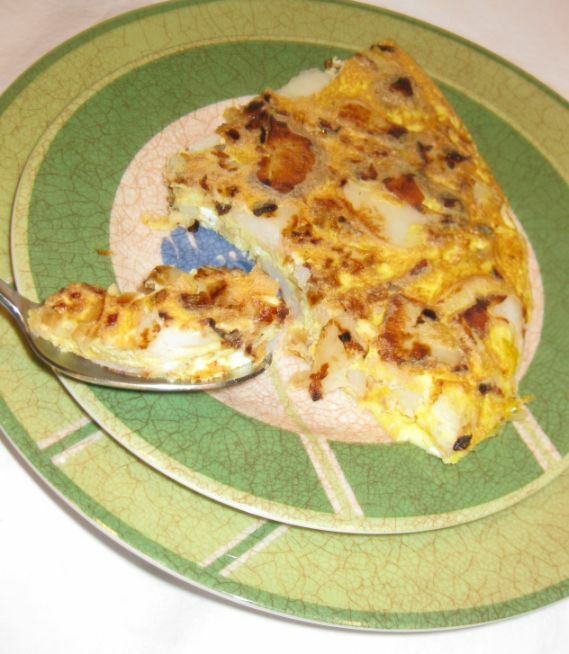 Tortilla de patatas is very popular dish and if you are in Spain, you will find it on the menu at any Tapas bar. It is Thursday evening and this is the last day of the week that I am cooking (We usually eat out on Friday) so I am opening my fridge and it is pretty bare. There are things in there and then I noticed that I have a few potatoes left and some eggs! 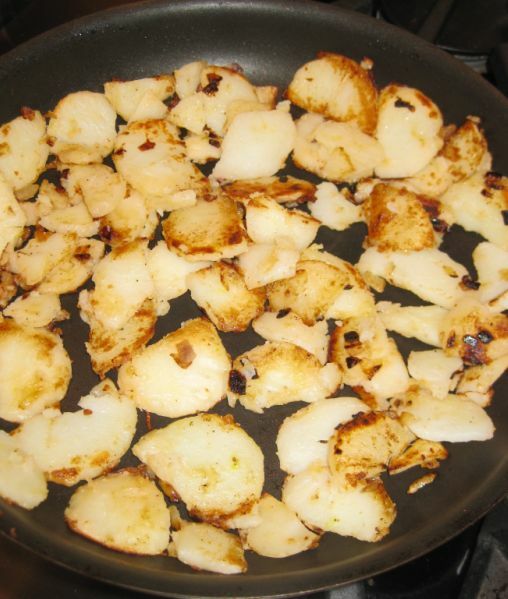 This is perfect to make a tortilla de patatas for dinner. 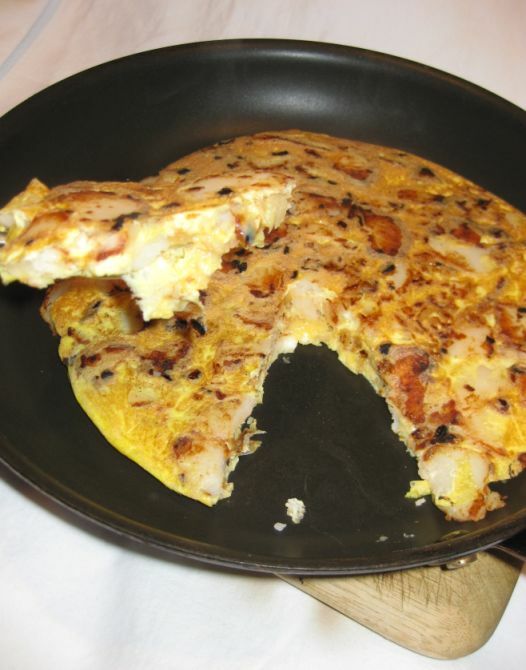 The Spanish tortilla is pretty simple but is a delicious. 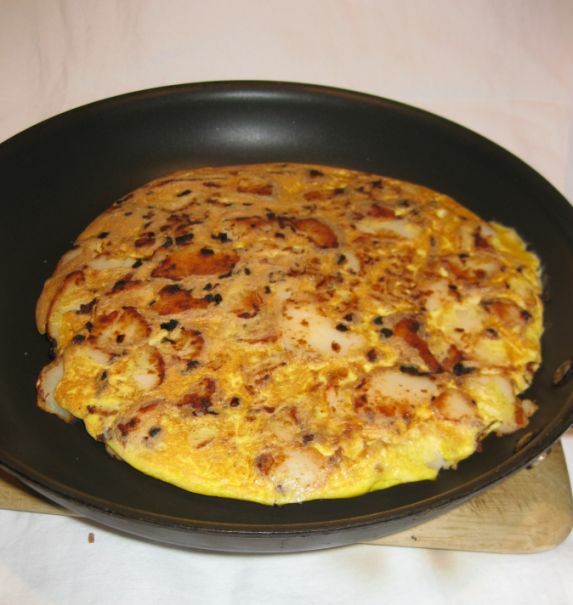 It is about half-inch thick "cake" of fried potatoes mixed with fried eggs and onions. After cooking, the tortilla can be cut into pizza-like triangles to serve 4-6 people, or cut into squares to give a whole group a bite-sized toothpick sample. Here I am removing my pan from the oven and the tortilla is perfect cooked. The center is still soft and creamy, simply delicious! 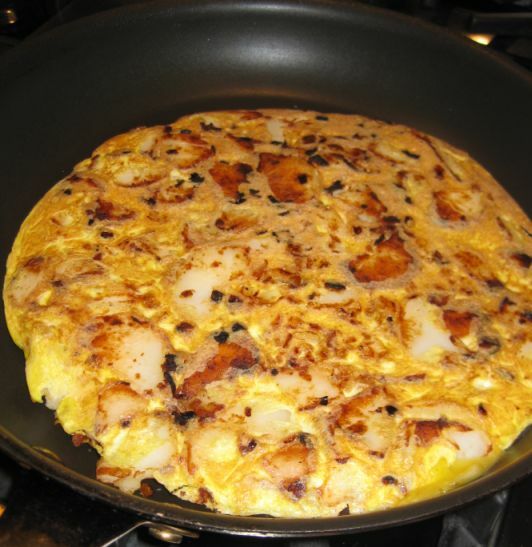 Close look at the tortilla de patatas. 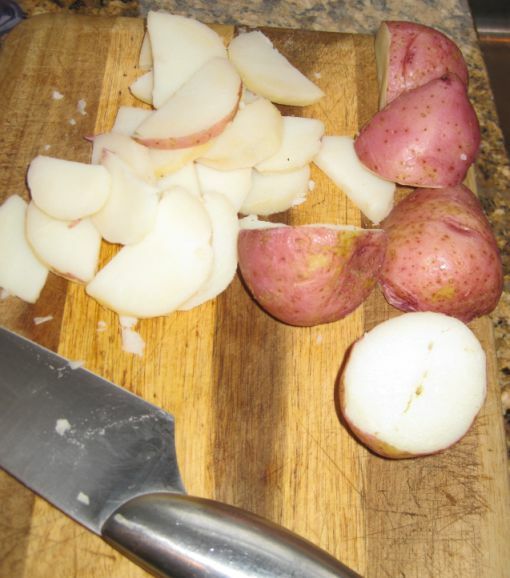 Once the potatoes are cooked, cut them into slices and put them aside. 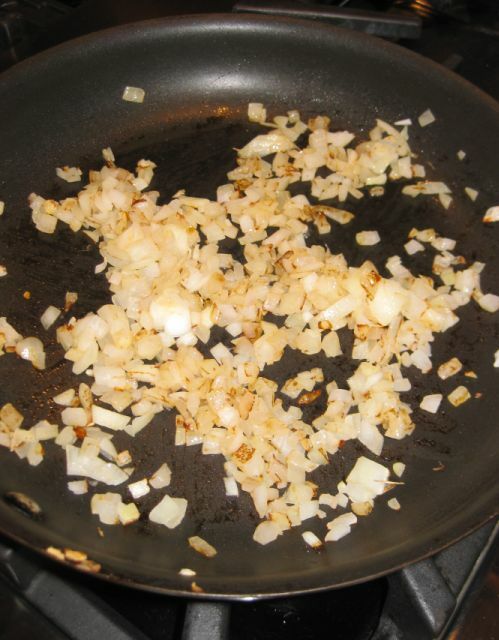 In an oiled pan sauté the onion until golden brown. 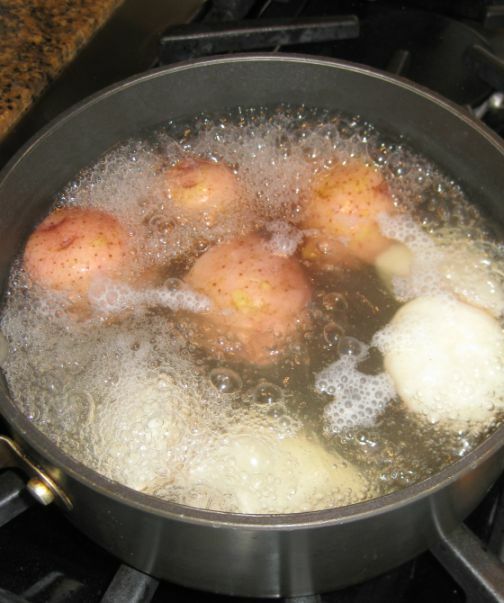 Next, add the potatoes and sauté until golden brown. 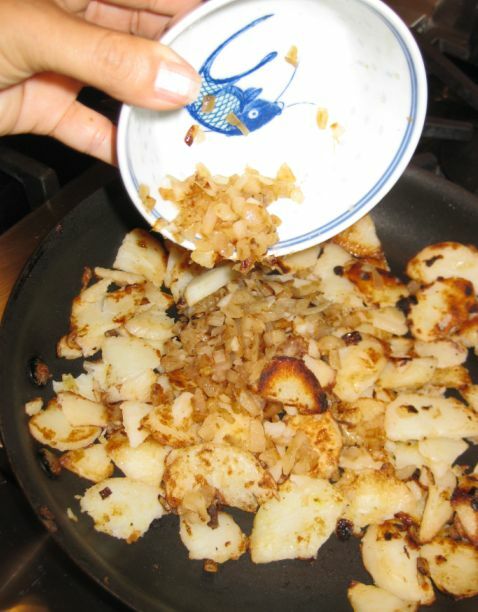 Since it took longer for the potatoes to be golden brown, I have to scoop out all the onion because they were too dark. 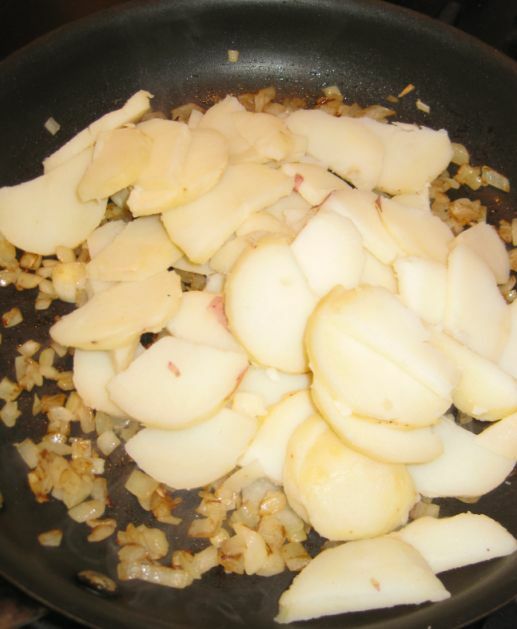 Once the potatoes are golden brown add back the onion and set aside. 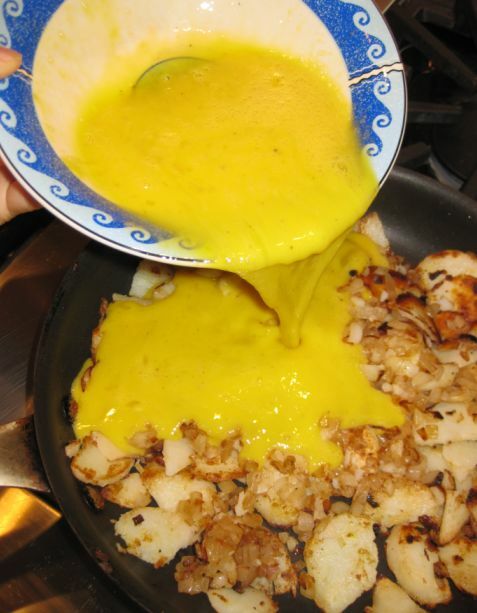 Beat the eggs and pour them in the pan with the potatoes. Heat should be around medium low. 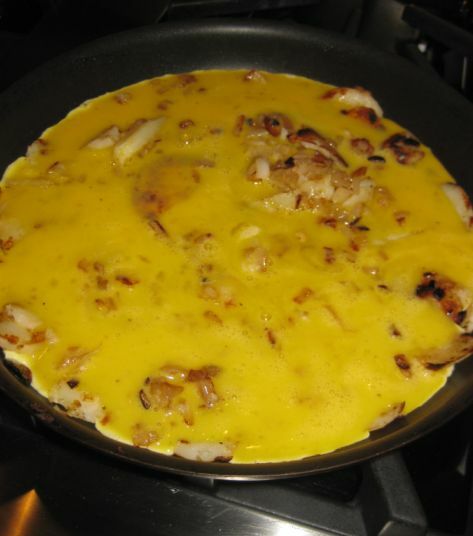 Let the omelet cook for about 2 minutes or until the you can see that the side of the omelet is cooked. Transfer the whole pan in a pre-heated oven at 450 degrees. Leave it in the oven for about 10 minutes. Remove it from the oven and it is ready to be served.